Bridgecom BCH-220 Full 5W on 220! Is your 220 HT lacking power? 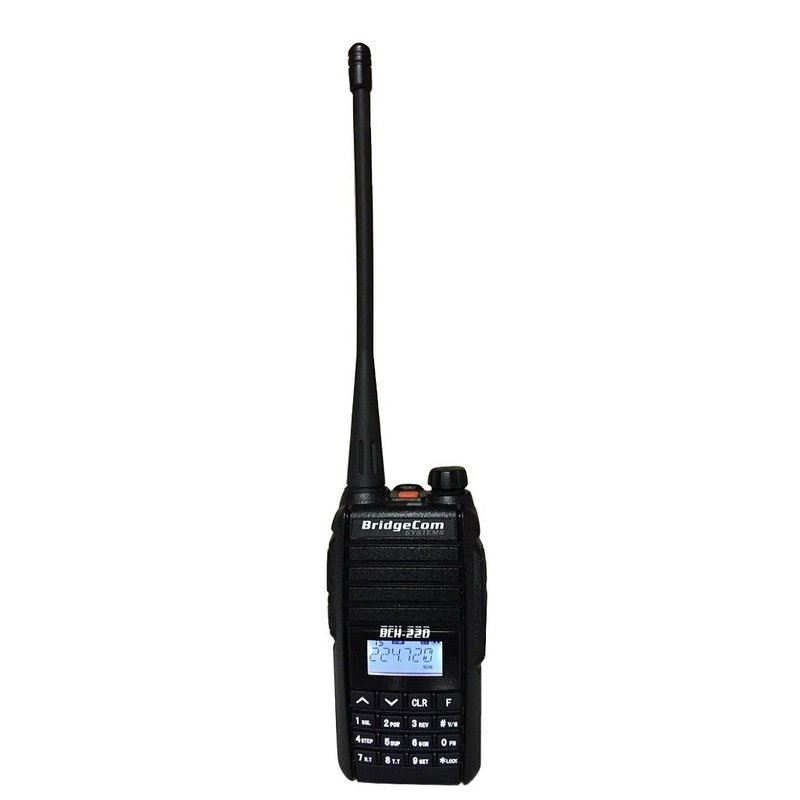 The BCH-220 is a Full 5 Watt handheld radio for transmitting with range on your favorite amateur radio band, 220MHz. Ready to get a BCH-220? Select your options below and click Buy Now! Try out the BCH-220 today, you’ll love it. Double up, Share the Love with a friend! 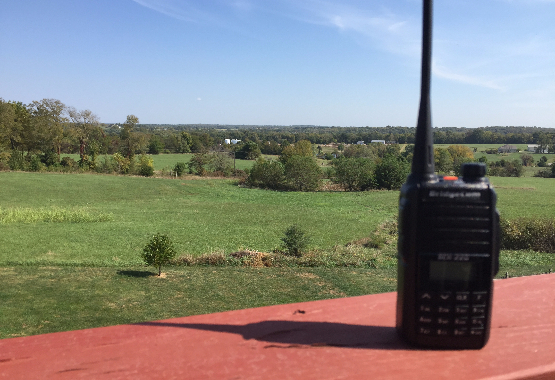 Introducing the new BCH-220 Handheld Radio for 1.25m 220 MHz amateur ham radio. 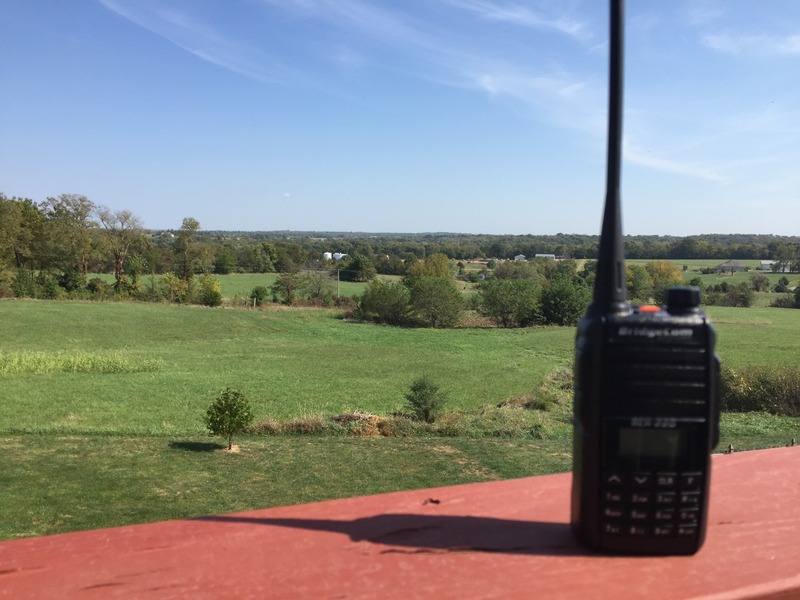 Are you tired of having just enough power to use your 220 radio simplex? Then the 5W BCH-220 isjust what you need in a 1.25m. 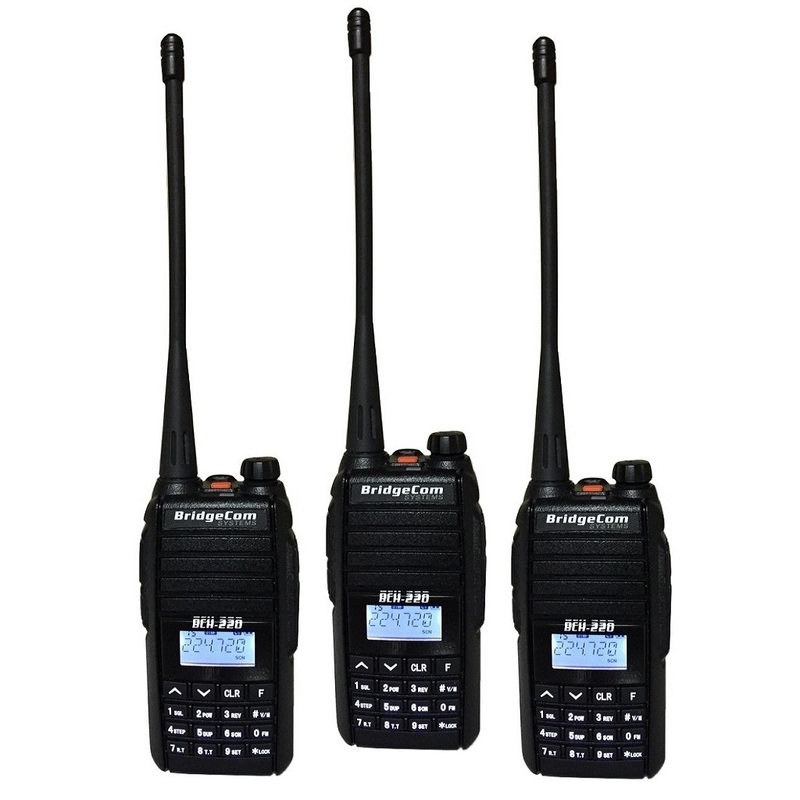 The BCH-220 is small, durable, light weight and has excellent battery life. You can easily adjust the power from 5 watts down to 2 watts. It has 199 programmable channels to store all your favorites and it sounds great too. 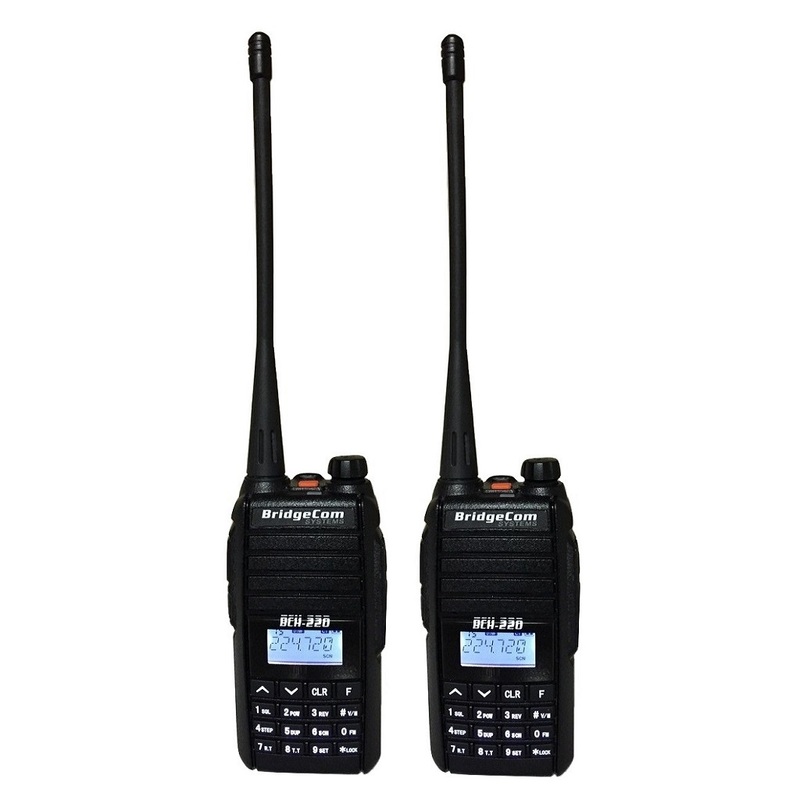 The BCH-220 fits nicely in the palm of your hand and has a bright easy to read LCD display. 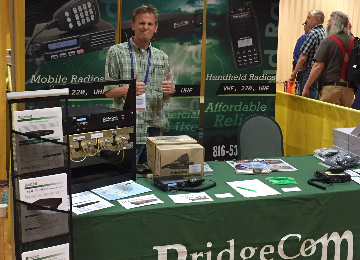 Make your next handheld radio a BCH-220! The BCH-220 includes a Battery, Antenna, Belt Clip, Charger Base and Wall Plug. Download programming software for Free. Programming cable sold separate. Other accessories available.